Various free construction software are available in online which increases productivity, efficiency and helps in scheduling and costing of project activities. These list of free software for construction projects is provided in this article. Construction software is the collection of programs, processes and information used to perform various tasks within the building or assembling of a structure or infrastructure as a means of increasing productivity, efficiency, and competitiveness. These software help in communication, point of contact, efficiency, cost and schedule. and gives market insight and expertise that could be integral to the completion of the project. Estimate is a free web-based, open source construction estimating and budget application. It calculates the project’s potential success and analyze, report and archive all data. It is focused on mid sized construction companies with a dedicated IT staff, as installing and customising it requires moderate to advanced IT/programming knowledge. The five core modules that estimate has are costing master. projects, utilities, reports and administration. It’s also suitable for general construction work, including electrical, plumbing, concrete, landscape and others. Plan Viewer is the free version of On-Screen Takeoff from On Center Software. With this application, estimators can view drawings and perform simple takeoff. To use, estimators import the drawing file. Fig 2: User interface of Plan Viewer software. From there, they can perform simple takeoff and mark it up using annotation tools. 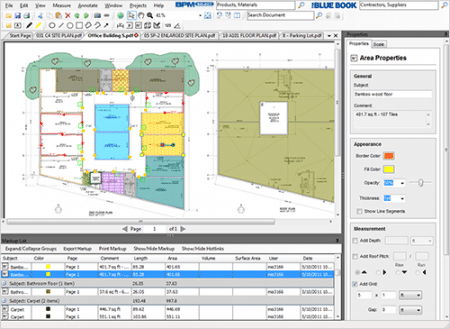 The catch is, work cannot be saved—that requires upgrading to the paid version.Even with this limitation, PlanViewer is a good choice for contractors who want to speed simple takeoff and see first-hand how this type of software can help grow their business. View PDF, JPEG and AutoCad files and raster images. Highlight and add text to images. Perform linear and area measurements. Vu360 is a document viewer and annotation program from the Blue Book Network. This application supports construction takeoff and document markup and has a built-in web-browser. Compatible with Windows OS (XP, Vista or Windows 7). Fig 3: User interface of Vu360 software. Integration with BPM Select (building product search engine) gives users access to a directory of over 15000 manufacturers and CSI classifications. Users also have unlimited access to a setup guide and online tutorials. Vu360 supports small and midsize construction firms and is suitable for architects, engineers and contractors in most trades, including roofing. Text, highlight and “sticky note” annotations. Area, volume, length and perimeter measurements. Pan, zoom, rotate and set other view options. Export to Excel or XML. Fieldwire is a cloud-based construction management solution that allows foremen and engineers in businesses to collaborate with the mobile workforce and share files, blueprints and RFI’s with them. 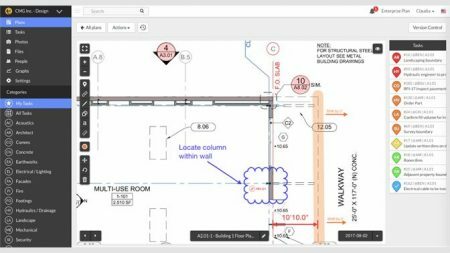 Fieldwire offers punch lists that enable users to snap photos of defects, leave comments and add to-dos. Fig 3: User interface of Fieldwire software. OrangeScrum is a task management, collaboration, and project management software combined, providing project managers and teams with an effective platform to help them perform their functions efficiently and improve productivity. The software helps in centralizing all your projects and tasks as well as managing your resources, from people, processes, and technology so that you are able to finish your project in time and without compromising its quality. Fig 5: User interface of Orange Scrum software. 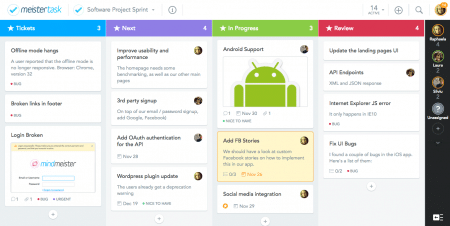 Associated transparency and visibility to multiple projects helps high performing teams to accomplish more with helpful features such as – Kanban View, Gantt Chart, In-App Chat, Time Log, Resource Mgmt., Invoicing. MeisterTask is an online project and task management solution designed to help project managers stay in total control of all aspects of their projects. The software allows managers to monitor the progress of their projects while enabling team members to collaborate seamlessly with each other within an easy and productive environment. 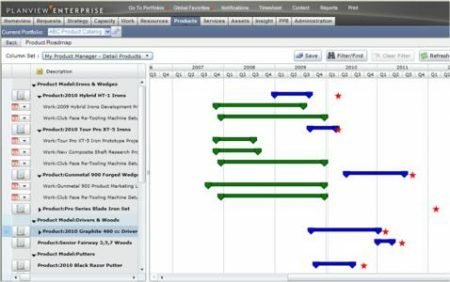 Fig 6: User interface of Meistertask software. MeisterTask comes with an impressive set of project management and collaboration tools, including Kanban project dashboards, project monitoring, task management, automation, integration, and reports. 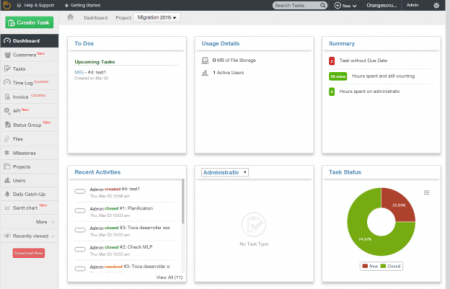 It integrates with other application project and task management applications such as Google Drive, Dropbox, and BitBucket to name some. 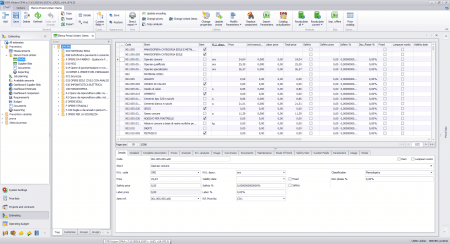 iScope estimating software integrates with the Craftsman Book Company pricing database. This gives users access to current materials and labor costs when putting together an estimate. It is designed using macros and short codes which saves time and cuts down on redundant data entry. iScope was initially created by a public insurance adjuster for loss estimating. But, since estimating damage claims is similar to estimating for remodelling, this product is suitable for use by remodelling and light residential and commercial contractors. Built-in room lists with standard dimensions: Select rooms and adjust the dimensions. Then doors, windows and fixtures are marked up and materials are selected. Automated cost calculation and report generation (includes expected overhead and profit). Options to adjust prices by a percentage or dollar amount.